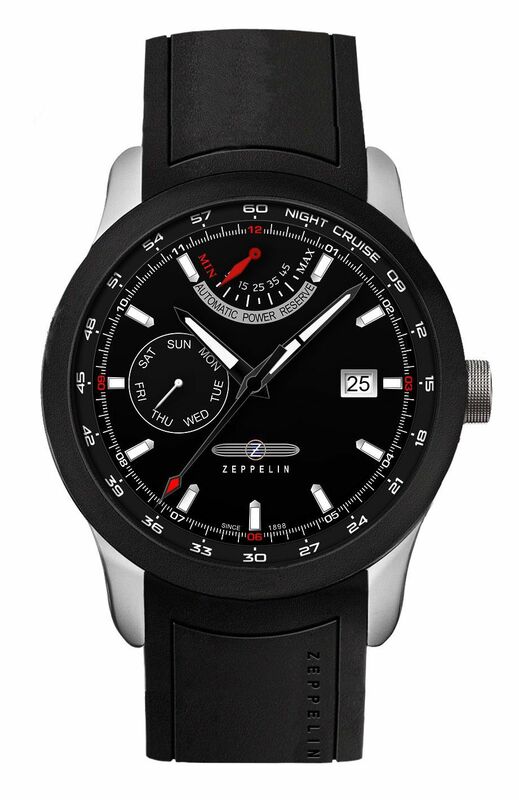 Zeppelin Night Cruise automatic power reserve watch. Pitch black elegance, ingeniously crafted: The watches in the NIGHT CRUISE series reflect the fascinating impressions of a night-time journey in a Zeppelin. The luminous coating on the hands and indices glows at night with a mysterious blue and makes this watch the perfect partner for your very own personal adventure.